Visit www.jaytucker.net for contact details, review copies, photos, and an author bio. A small, yellow frog named Ferdinand discovers the true meaning of Christmas in the latest book for children by Loving Healing Press author, Jay Tucker. Ferdinand thinks that Christmas is just about the toys! A fateful visit to Santa Claus teaches Ferdinand that Christmas is about so much more. The precocious frog hears the Biblical story of Jesus’ birth on Christmas morning and his heart is changed forever. 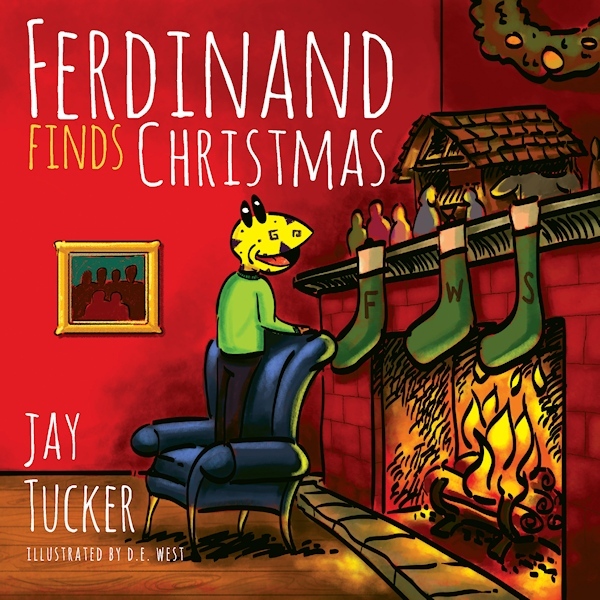 Ferdinand Finds Christmas (ISBN 978-1-61599-253-9), is the newest book by local author Jay Tucker. The book is written in rhyme and it teaches that the true meaning of Christmas is all about celebrating the birth of Christ and the love of family and friends. Jay Tucker is the Youth Director at Cypress Lake United Methodist Church in Ft. Myers, FL. Jay has four books published with Loving Healing Press. His other titles include Ferdinand Uses the Potty, and The Whole Youth worker. The new book is available now through Amazon, Barnes & Noble online, and from your local bookstore when they special order from Ingram. Loving Healing Press is proud to announce that they will be partnering with Cypress Lake United Methodist church by gifting Ferdinand Finds Christmas to families with young children who attend the Christmas Eve services. The gift of one book per family will be given at the 3pm, 5pm, 7pm, and 9pm services while they last. Cypress Lake United Methodist Church is located at 8570 Cypress Lake Drive in Fort Myers, FL. Jay Tucker has been in full-time youth ministry for 15 years. He is currently the youth minister at Cypress Lake United Methodist Church. Jay has been married to his wife Kimberly for 20 years and together they have two children. Ferdinand Finds Christmas is Jay’s fourth book with Loving Healing Press.